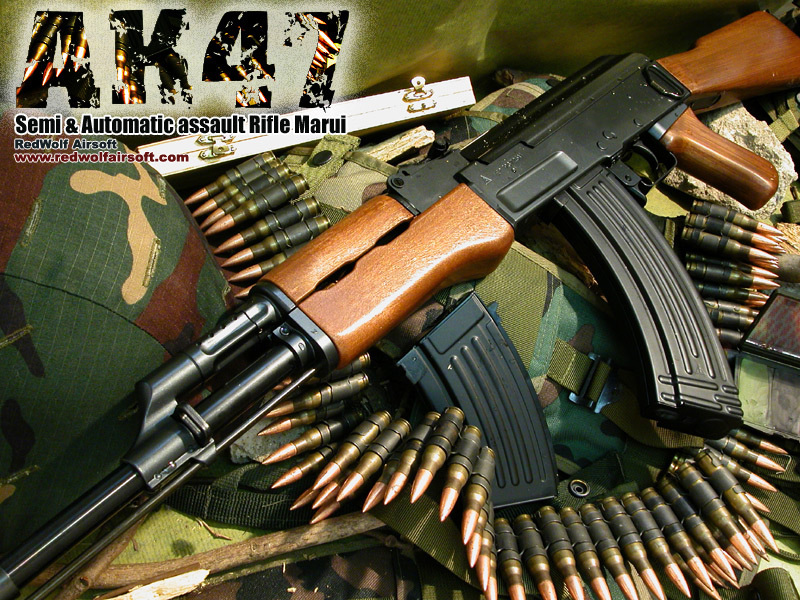 The AK-47 is a selective-fire, gas-operated 7.62×39mm assault rifle, first developed in the Soviet Union by Mikhail Kalashnikov. 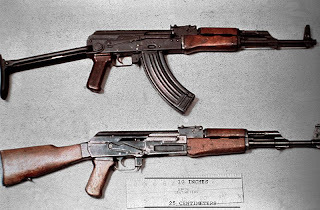 It is officially known as Avtomat Kalashnikova (Автомат Калашникова). 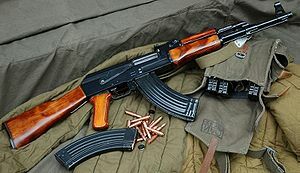 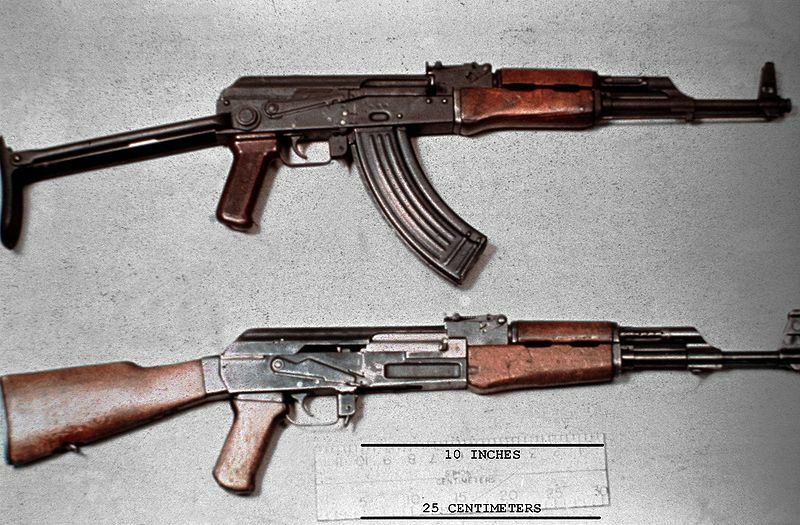 It is also known as a Kalashnikov, an "AK", or, in Russian slang, Kalash.